Traveling to Tibet for most people requires just a Chinese Visa, to get into China first, and the Tibet Travel Permit(Tibet visa), as issued by the Tibet Tourism Bureau, to get from China to Tibet. However, for Indian Nationals, there is also a different process that runs alongside the normal one. Indian Pilgrims Praying in Lake Manasarovar. Indian citizens wishing to travel to Tibet can be split into two distinct categories; those going as tourists, and those going as pilgrims who wish only to visit holy Mt. Kailash and Lake Manasarovar. And the way to obtain the permits to visit Tibet is different for each. So technically Tibet travel permit is Tibet visa for Indian citizen who are planning to travel to Tibet from mainland China. For those traveling to Tibet as tourists, the normal rules apply. All foreign citizens need to apply for a Tibet Travel Permit to get into Tibet. To get the permit, there are certain steps that need to be taken. Foreign Nationals, including Indian Nationals, are not allowed to apply for a Tibet Travel Permit independently. All visitors to Tibet must apply for the permit through a registered Tibet travel agency. Moreover, foreign nationals are not permitted to travel independently in Tibet and are required to have a tour guide and private vehicle. The first step in getting permits is to obtain a Chinese Entry Visa. This can be applied for through the Chinese Visa Application Service Center (CVASC) in New Delhi. Applicants can submit their applications in person, or by preparing the application documents online, on the CVASC website(click on above link). When preparing the application online, it should be noted that it is not an online application, it merely guides you in what documents you need and allows you to print the required forms. Once all forms are completed, and you have the required documents, you can make an appointment to visit the CVASC in New Delhi to obtain your visa. It is advisable not to mention Tibet in your visa application, as this can often cause problems with applying for the visa. When mentioning that you intend to travel to Tibet as a tourist, the Chinese Embassy will ask for your Tibet Travel Permit before accepting your application. Since you are not able to get this without the visa, it can cause major problems. The standard Chinese Entry Visa is not valid for entry from Nepal. For tourists who wish to travel to Tibet from Nepal, a Group Tourist Visa will need to be issued from the Chinese Embassy in Kathmandu. The Group Tourist Visa applies to both groups and individuals and can be arranged by simply sending a scanned copy of your passport in advance of your trip. The Tibet Travel Permit is applied for by us on your behalf as entering from Nepal and is issued without the need for the visa to be issued first. Your visa will be arranged once you arrive in Kathmandu, and can be delivered to your hotel. Tibet Travel Permits normally take between 15-20 days to organize, depending on how busy the Tibet Tourism Bureau is and how many applications are being processed. During the low-season months, it can take a lot less than 15 days even. Once the permit has been approved, it can be forwarded to your hotel in China, ready for your trip. Submission for the permit should be done well in advance of your expected travel dates, as there is no guarantee that it will be ready if it is left until the last minute. Original copies of the permits will be required in order for you to board the flight to Tibet, while a scanned copy or photocopy is ok for boarding the trains. For all travelers from India intending to travel to Mt. Kailash or Lake Manasarovar, they MUST apply as pilgrims, even if their visit is for tourism purposes. For pilgrims and tourists who wish to visit holy Mt. 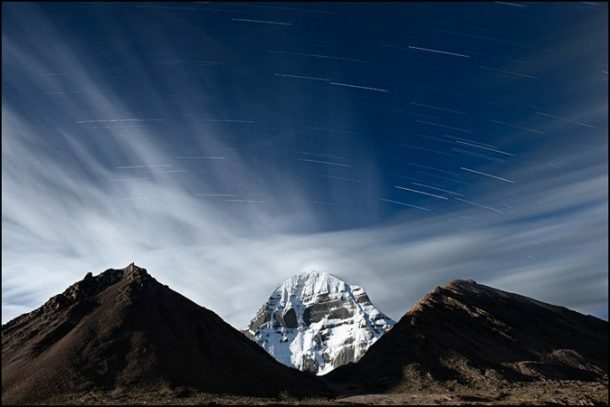 Kailash and Lake Manasarovar, applications need to be made through the Foreign Affairs Office of the Tibet Autonomous Region. The visas are verified and issued by the Foreign Affairs Office, in cooperation with the Tibet Military Region authority, the Armed Police Tibet Frontier Corps, and the Department of Public Security for TAR. Two organizations can handle the authorization of Indian pilgrimages in Tibet; the Foreign Affairs Office, and the China India Pilgrims’ Service Center (CIPSC). These two organizations are the ones responsible for organizing the practical applications of an Indian Pilgrimage Tour, such as the accommodation, transportation, itinerary, guides, yaks, etc. Other organizations and agencies are not permitted to receive pilgrims and tourists to Lake Manasarovar and Mt. Kailash. While tourists have a choice of which tour operator to use, and can select based on cost, the monopoly of pilgrimage tours by the Pilgrim Center means that the cost is often much higher than for tourists. 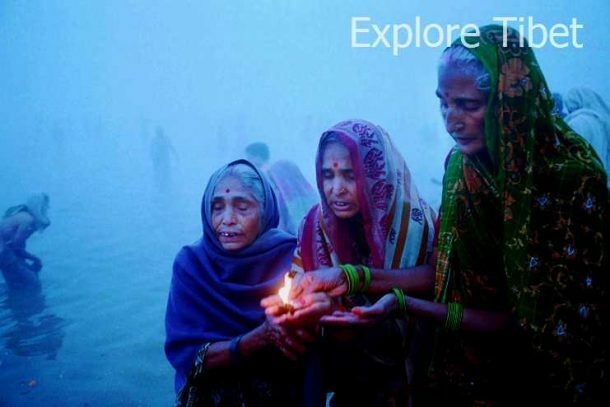 In order to deal with your application for a pilgrimage tour, you will need to visit a local, Indian tour operator that provides tours to Tibet for Pilgrims. According to the Embassy of the People’s Republic of China, the application for a pilgrim’s group visa to Tibet for Mt. 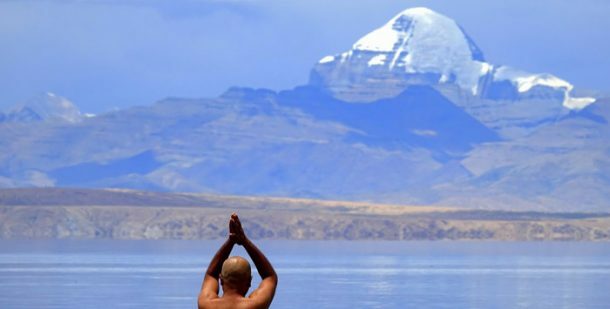 Kailash and Lake Manasarovar must be applied for through a registered IPSC approved tour operator, who will make the application for you through the Indian Ministry for External Affairs in cooperation with the Chinese Foreign Affairs Office of Tibet Autonomous Region. This is the only way a pilgrimage can be arranged. These operators will handle your applications through the Ministry for External Affairs, the Chinese Foreign Affairs Office, and the CIPSC, and make all the arrangements for your accommodation, transport, etc. The visa to get into Tibet for Indian Pilgrims is not a stamp on your passport, but a special visa for groups of travelers visiting Mt. Kailash from India. Pilgrimage visitors are required to enter the region as a group tour, and the visa will be for the entire group together. Individual pilgrimage visas are not issued.